Once upon a time, two very mysterious fellas arrived into our office from the capital of our nation. 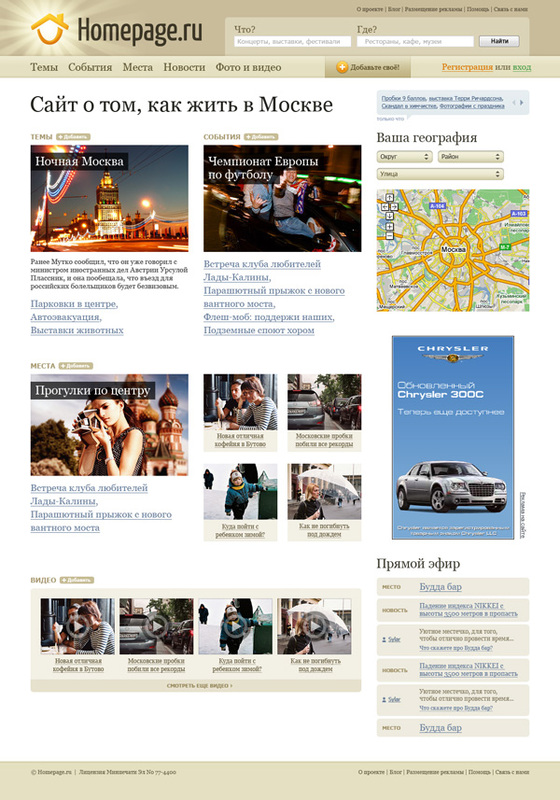 They told us about their plans to create a large and interesting portal about the Moscow’s lifestyle. They had themselves some prototypes too! 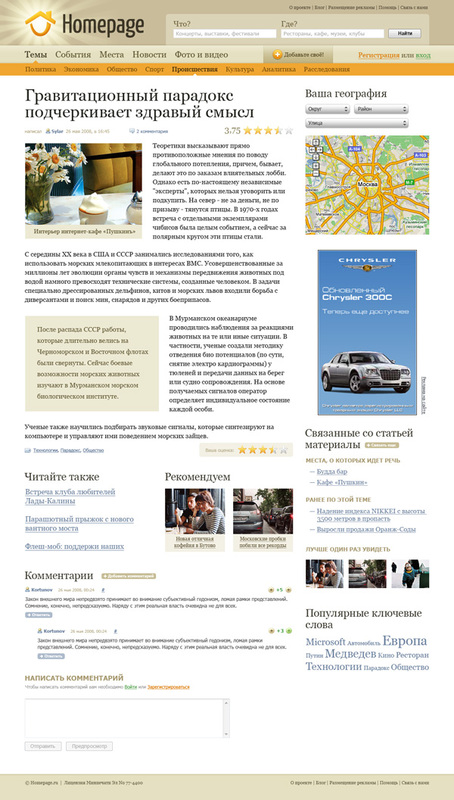 We have gotten extremely exciting to participate in such a large-scale project and went straight to work. 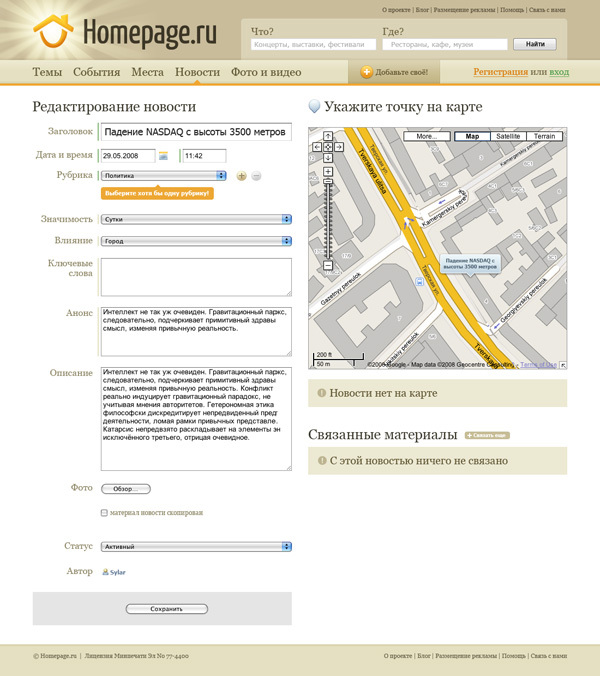 We have finally generated a calm well-balanced template with contents put right upfront. 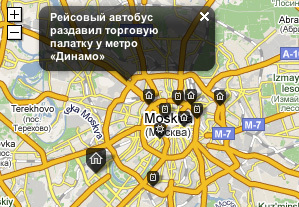 One of the zestful features of Homepage.ru is that all events come up before the user right on the map. It is so cool. 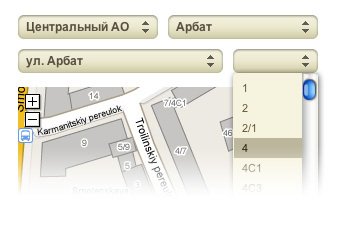 We have created special customized dropdowns for the geotargeting (pardon the lingo). Homepage.ru is a lively, constantly evolving project. New pages, units, and sections appear every now and then. Developers always come to us for new imagery. So here is how the “crisis” appeared! …or check out this banner for a competition. We totally enjoyed working on this project. And would like to take this opportunity to extent thanks to our two mysterious fellows mentioned in the beginning of the post.